The following are a list of resources we love that help all of us frame our thinking about the challenges of living in poverty and ways to make a difference. Poverty Over London is a community movement to end poverty in London, Ontario. The organization believes that too many of our neighbours can’t participate in everything London has to offer. Their goal is to build a better future for your kids and all of their friends. 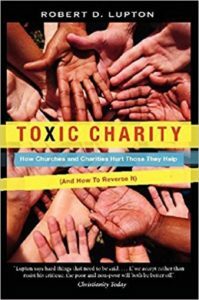 “Toxic Charity: How Churches and Charities Hurt Those They Help (And How to Reverse It)” is written by Veteran urban activist Robert Lupton reveals the shockingly toxic effects that modern charity has upon the very people meant to benefit from it. Toxic Charity provides proven new models for charitable groups who want to help—not sabotage—those whom they desire to serve. 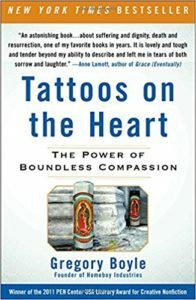 “Tattoos on the Heart: The Power of Boundless Compassion” is written by Father Gregory Boyle, a gang-intervention program located in the Boyle Heights neighborhood of Los Angeles. Boyle distills his experience working in the ghetto into a breathtaking series of parables inspired by faith.